Twyman graduated with high honors from Fisk University in Nashville, Tennessee with a B.A. in political science and religious and philosophical studies. He studied international law and politics at the London School of Economics on a Fulbright scholarship from Vanderbilt University. He attended Tulane Law School in New Orleans, Louisiana, and later earned a Master’s and a Doctorate degree in social policy from Indiana University. In 2015, Twyman returned to his hometown of Indianapolis to head up OpportunIndy, a broad-based, collective impact initiative commissioned by Mayor Gregory Ballard, aimed at improving the life outcomes of young African American men. Formerly, he served as the Director of the UALR Institute on Race and Ethnicity, where he led racial equity work and taught a course on racism in America. Twyman is the founding Indiana Grants Director for the Nina Mason Pulliam Charitable Trust, and oversaw a multimillion portfolio that included funding in education, health, animal welfare, and the environment. He has an extensive experience in senior-level management, and has served as a Special Assistant to Mayor Stephen Goldsmith for the City of Indianapolis, as well as Vice President of Community Action of Greater Indianapolis. He has also maintained a professional practice as an Independent Consultant and assisted numerous organizations with governance, strategic planning, cultural competency training, fund development, and evaluation. 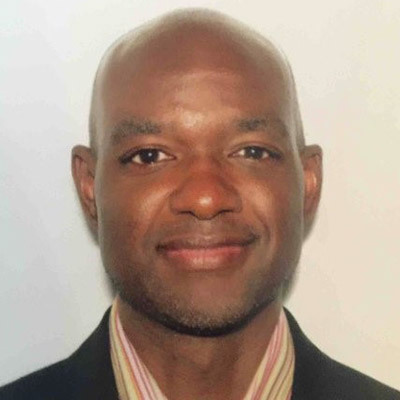 Dr. Twyman is currently an associate faculty member with the IU Lilly Family School of Philanthropy, where he designed and serves as the instructor for an undergraduate course on Race and Social Justice, and a graduate course focused on Diversity and Culturally-Responsive Philanthropy. Dr. Twyman has served on several local, state, and national boards, including the NAACP Foundation, Martin University, Indy Parks Foundation, Indiana Philanthropy Alliance, Association of Black Foundation Executives (ABFE), and his high school alma mater, Brebeuf Jesuit Preparatory School. To honor his 14 years of service, the Pulliam Trust established the Dr. Michael R. Twyman Endowment Fund in 2013 with the Indianapolis Marion County Library Foundation to provide educational opportunities for underserved populations. Twyman is also the recipient of many awards and recognitions for his volunteer and community service.